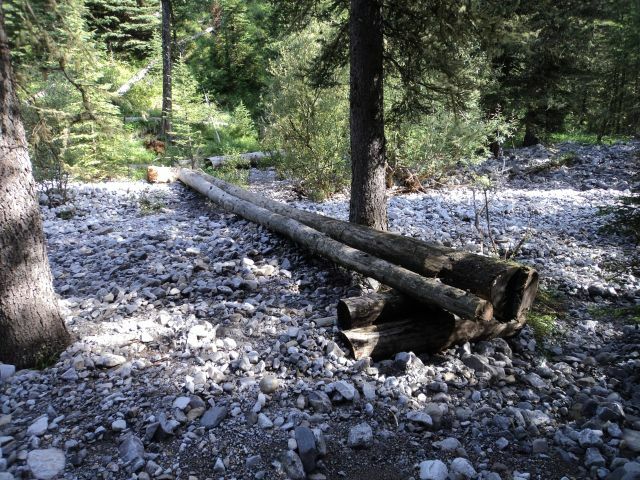 Unfortunately due to road and trail damage from the severe flooding in south-western Alberta in June 2013, our 2013 GDT Trail Maintenance trip was cancelled. From August 30 to September 1, 2013, three members of the Great Divide Trail Association hiked from Hidden Creek to Baril Creek, assessing damage to the GDT caused by the extreme flooding. In general the GDT in this section is still in good shape and hikeable but most creeks show some signs of severe flooding and associated damage, e.g. rock and tree debris, mud deposits and in a few extreme cases complete re-routing of the water channel. 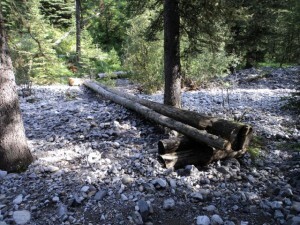 Several bridges have washed away but all creek crossings can still be forded. 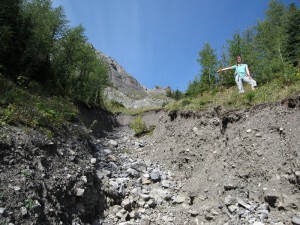 There are a few short sections where the trail has washed away but detours exist where necessary. 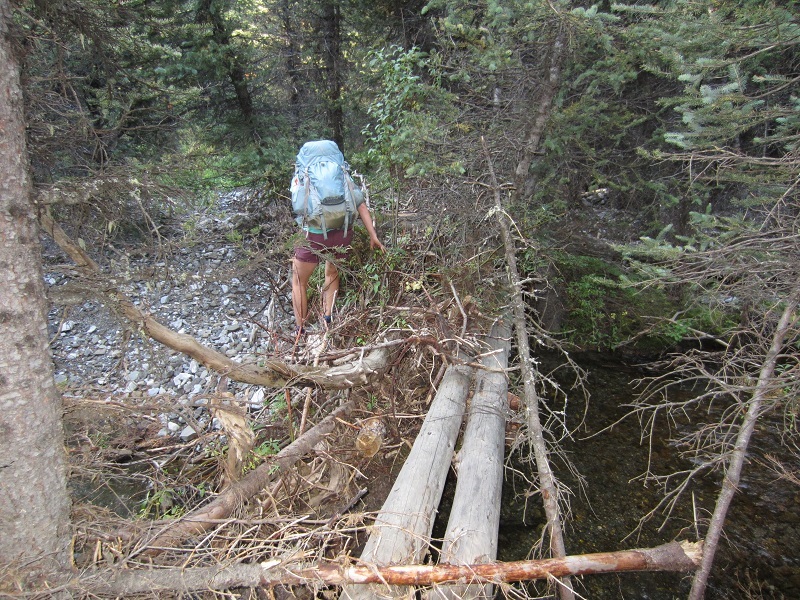 As a result of damage to the trail and bridges it is recommended that hikers on the GDT exercise additional caution and allow adequate time to route-find and safely navigate unforeseen obstacles. 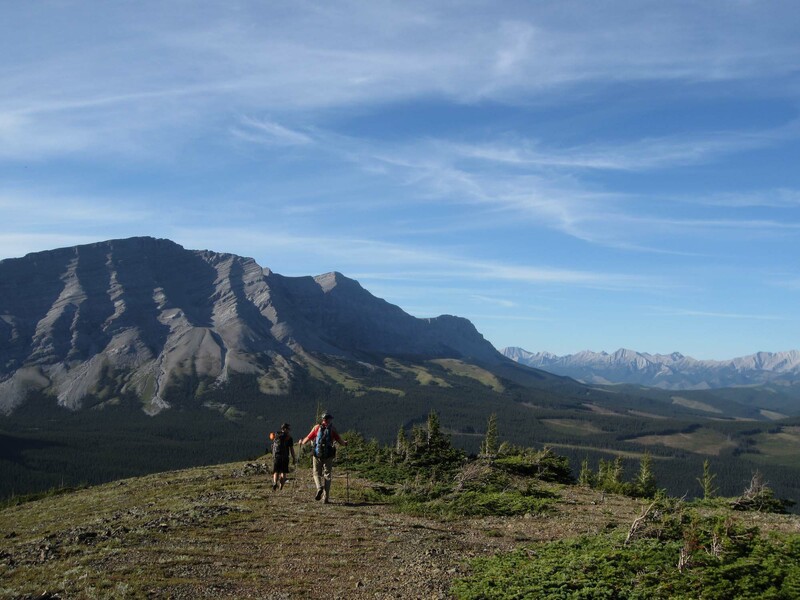 Highwood House and Baril Creek trailhead are accessible via Highway 541 but other road closures have made access to the GDT difficult or impossible.